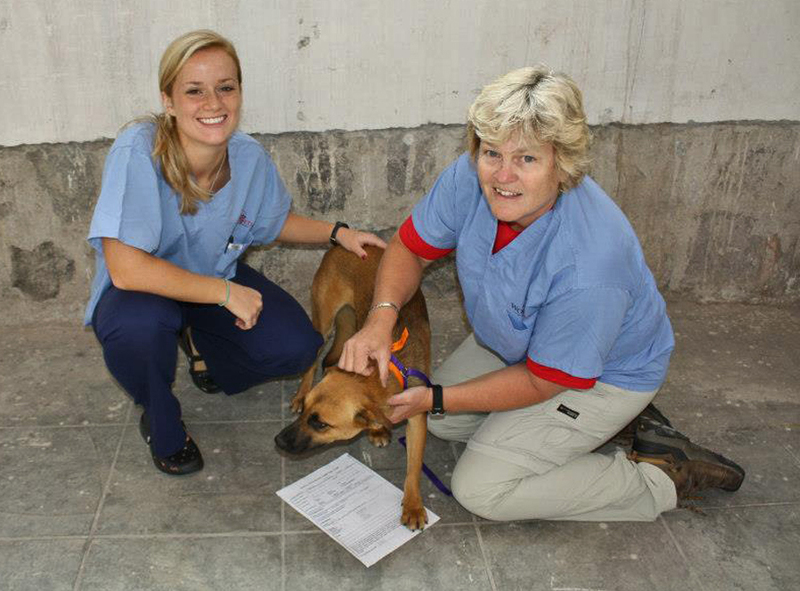 Last week, I was down in Ecuador participating in a volunteer trip with World Vets. 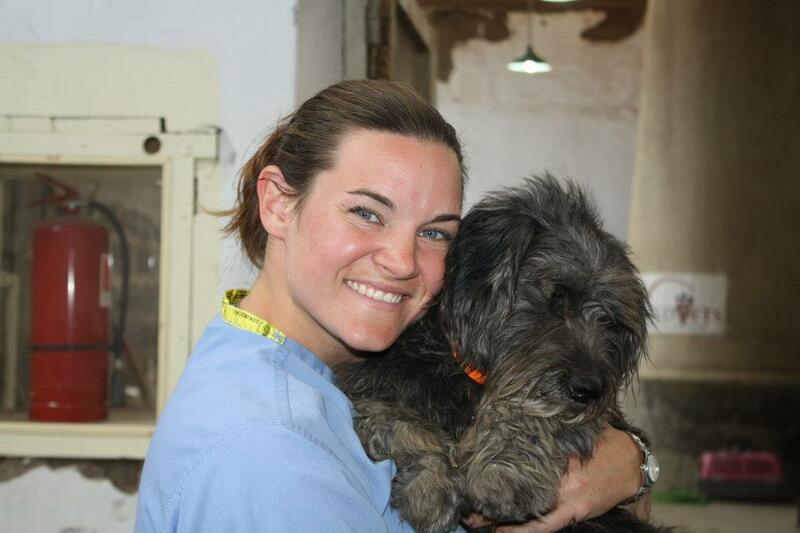 This is an organization that sends teams internationally to provide veterinary care for communities in need, including Veterinary Field Projects that provide community wide spay neuter campaigns as well as health consultations for dogs and cats. 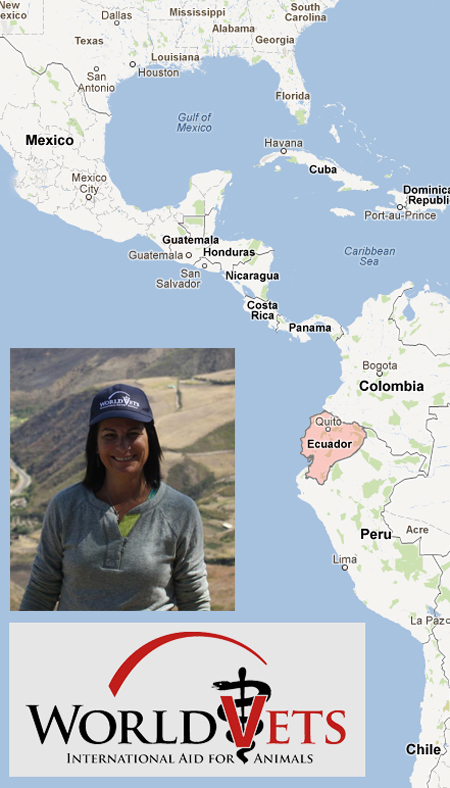 For many years I have aspired to doing such a trip and I finally was able to make it a reality. 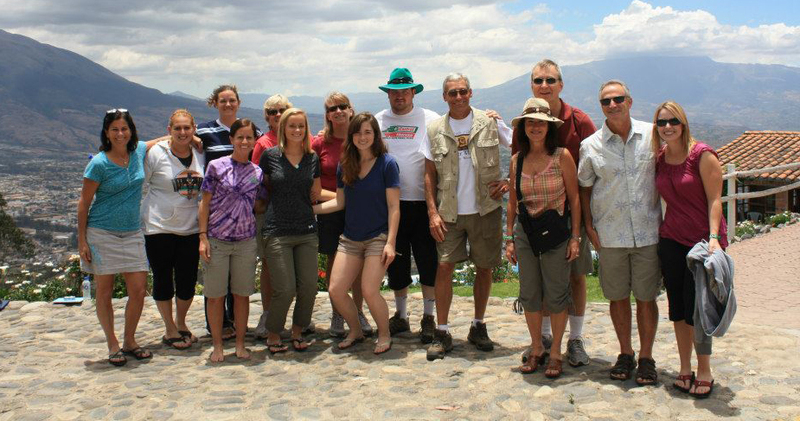 We began our adventure in Quito, the capital of Ecuador. 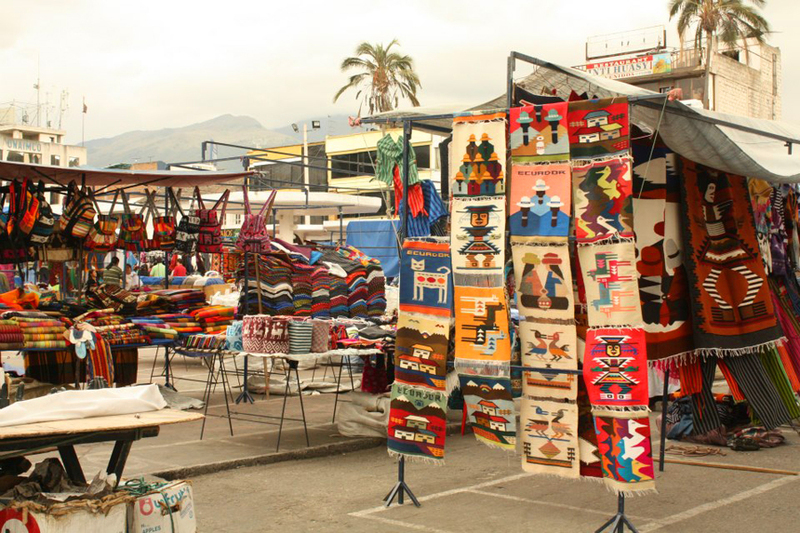 We ultimately traveled to the city of Ibarra, after stops at the equator and the amazing markets in Otavalo. 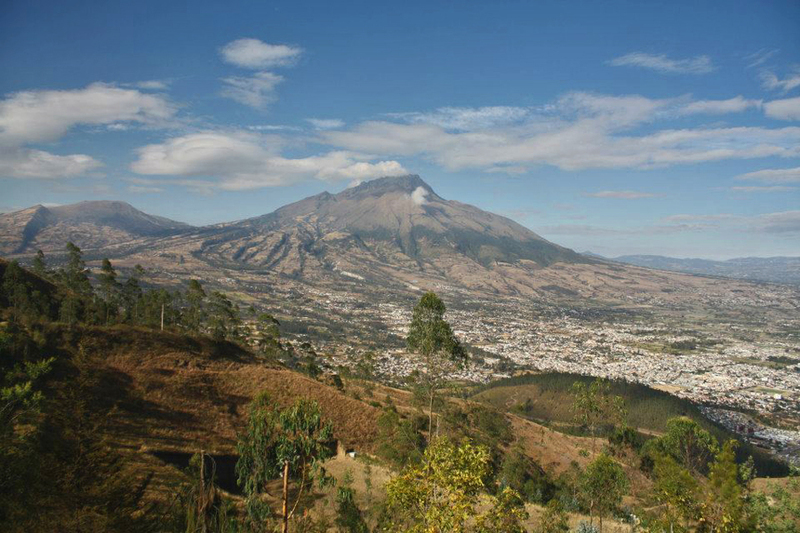 Ibarra is located in the foothills of the Andes, at the base of an extinct volcano. We stayed in an amazing hotel, high in the hills overlooking the city, and travelled each work day to the smaller city of Atuntaqui. 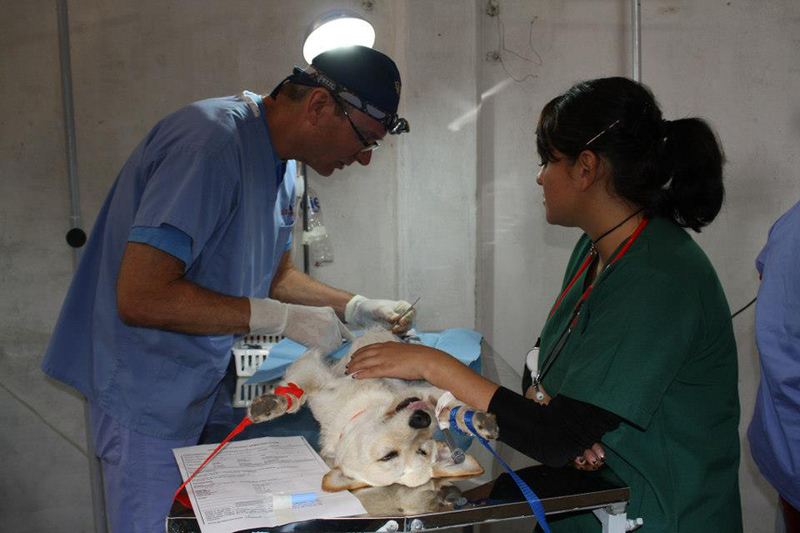 World Vets sponsors Veterinary Field Projects in a few communities in Ecuador—I was told that as a result of our efforts, the government would cease poisoning as the means of controlling the dog overpopulation problem. 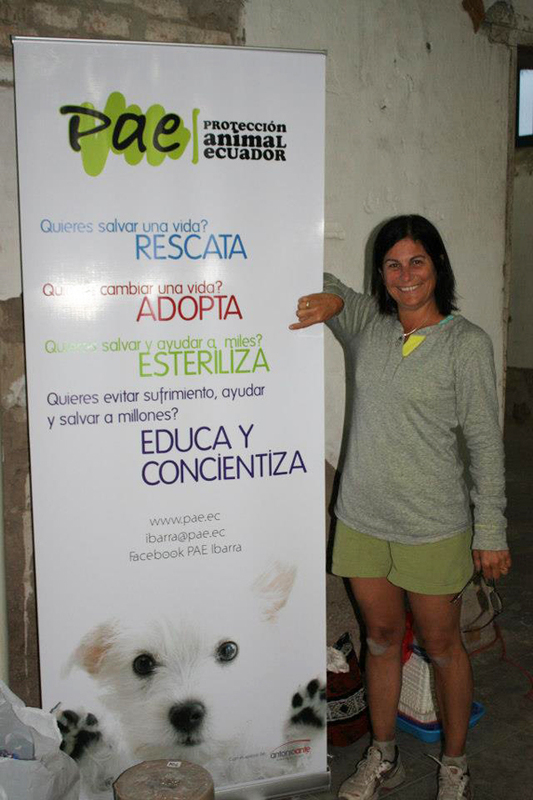 We partnered with the local animal rescue organization PAE (Proteccion Animal Ecuador)—Rescata • Adopta • Esteriliza—who, true to their mission, organized a large scale sterilization campaign. 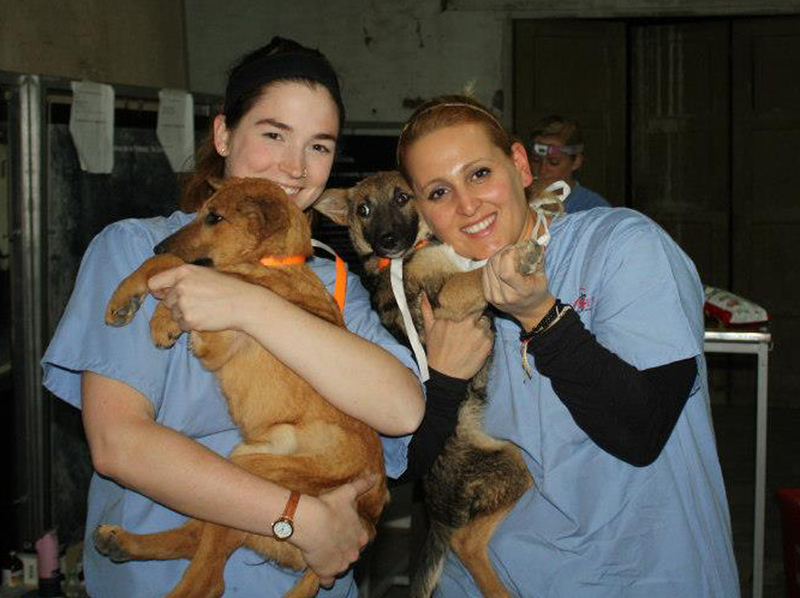 On our very first day, we performed over 60 spays and neuters of dogs and cats. 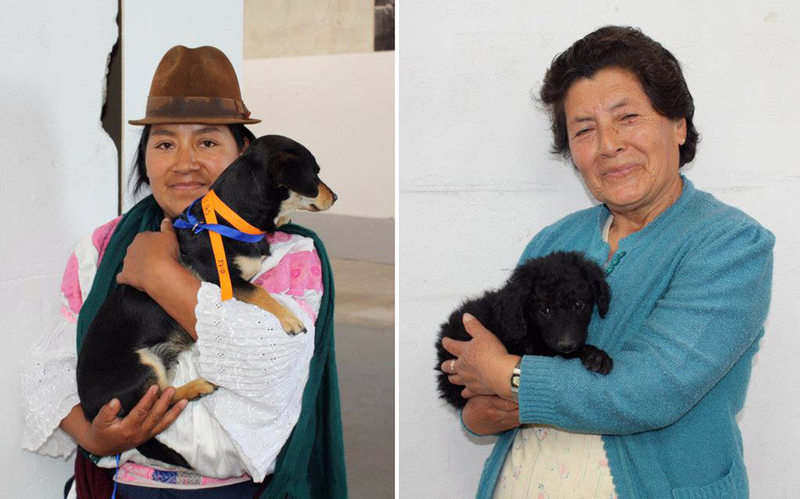 The animals represented a combination of strays, dogs currently in foster care with PAE, and owned pets. 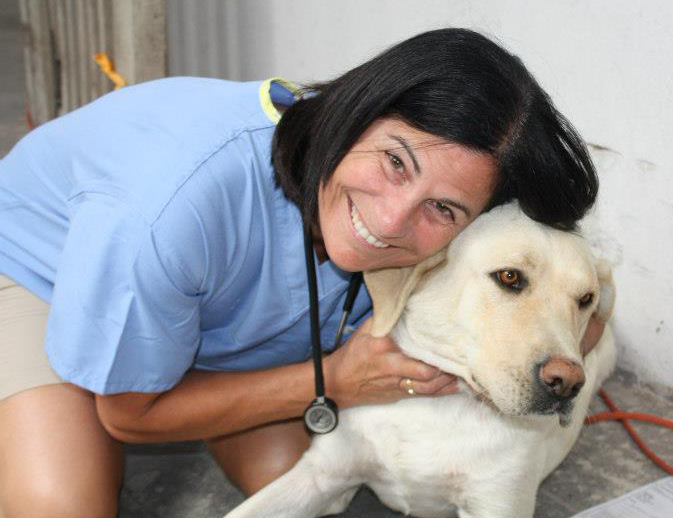 The surgeries were not simple procedures—likely due to inadequate nutrition, chronic parasites, and underlying disease—they were quite bloody and required many extra steps compared to what I do back home for healthy pets. 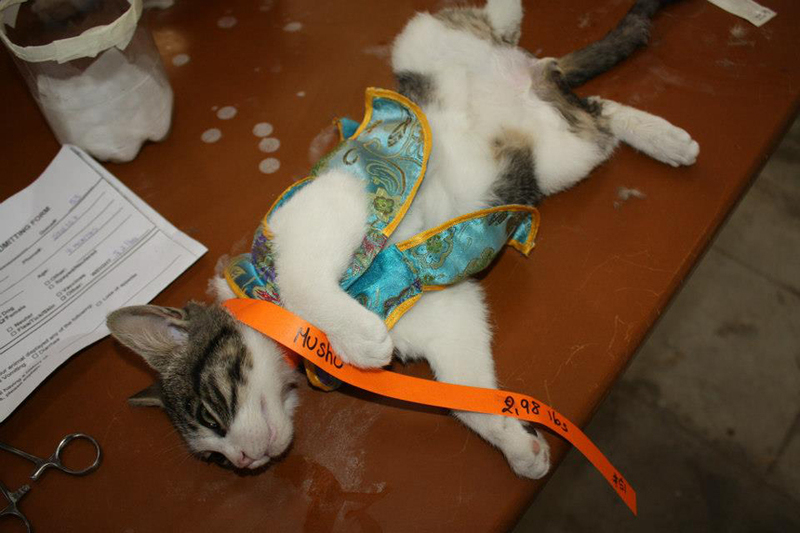 Starting with physical exams, the animals were premedicated for sedation. 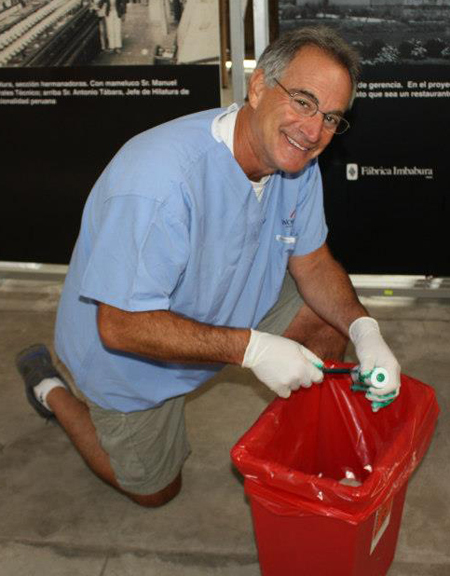 Then they were moved to induction, where intravenous catheters were placed, injectable anesthesia was initiated, and sterile surgical prep done. We certainly did not have the luxury of gas anesthesia, nor the sophisticated monitoring equipment I am used to. I used my camping headlamp as my surgical light! 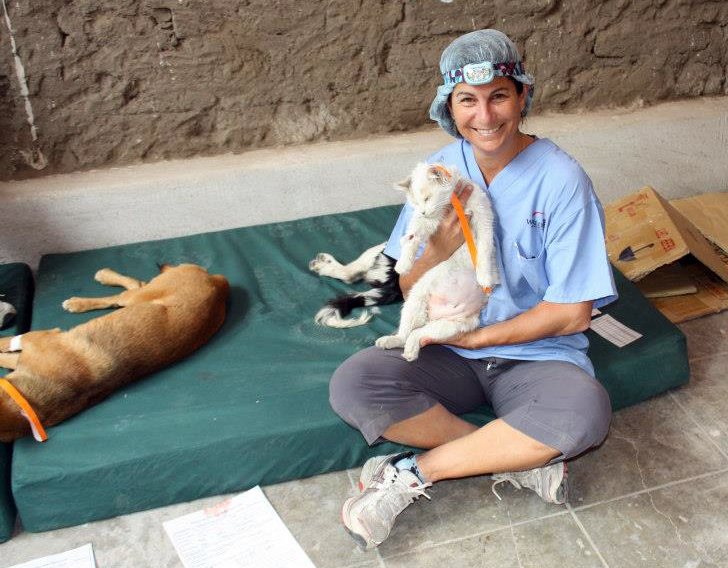 Fortunately, we had a wonderful Ecuadorian veterinary student (fluent in English as a bonus) who kept our patients stable and asleep. Post-operatively, the patients were moved to our “recovery ward,” which simply consisted of padded mattresses on the floor. Finally they were delivered back to the owner, discharge instructions in hand, and out the door they went! 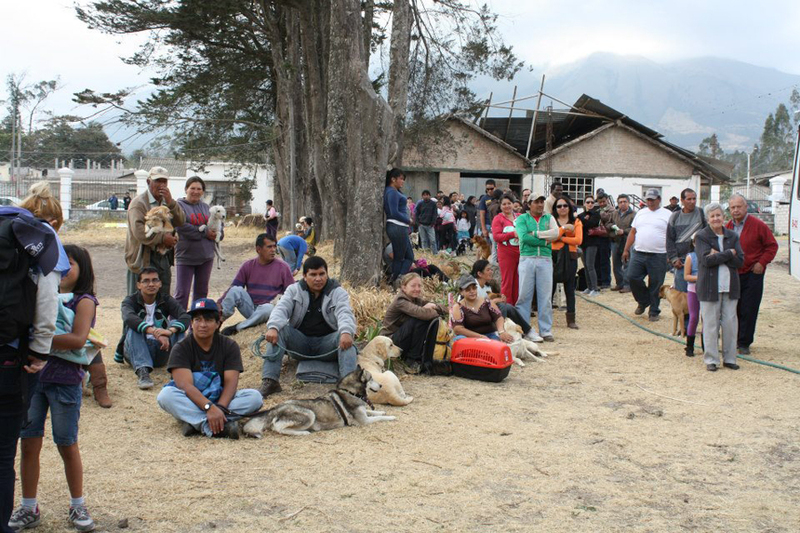 On Day 2, we arrived at the facility to find a line of over 130 people awaiting us. Daunting to say the least! 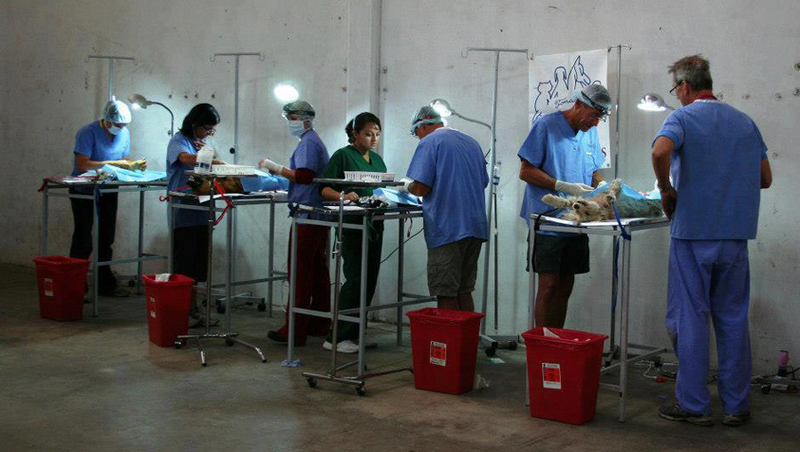 That day we performed 87 surgeries—a new record! We worked for 12 hours, with a short lunch break, but I was on such an adrenaline high, I could not even feel the exhaustion. One of the highlights of my experience was interacting with the pet owners. They were so gracious and appreciative of our efforts. They made donations as they were able—whether it was a dollar, or ten (they use U.S. currency there). The cool thing is that through the education efforts of PAE, who even did a door-to-door campaign, they truly appreciate the benefits of spaying. There is a bit of a cultural roadblock regarding the neutering of males, but that too is improving. The trip was not all hard work and long hours. 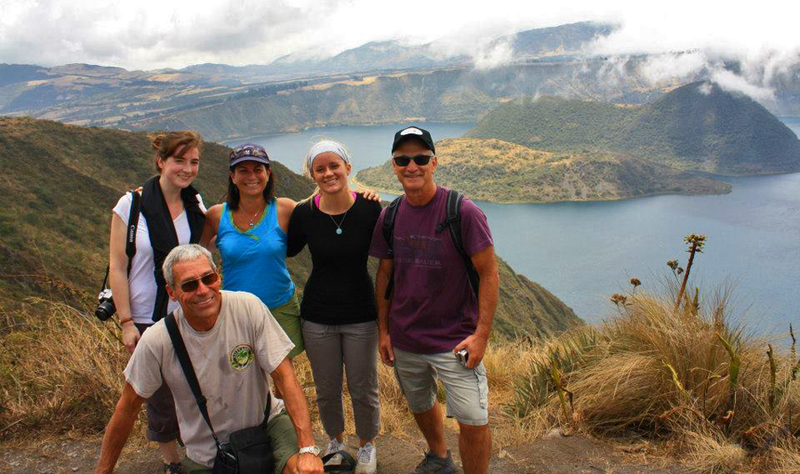 We also had the opportunity to explore the beautiful Ecuadorian country. We hiked on a volcano, visited hot springs, and went bird watching in a cloud forest. I can’t wait to return one day… I just need to brush up on my Spanish. Though I once considered it to be a bucket list item, I now know that international volunteering needs to be a regular part of my life. Perhaps a trip a year? It was so rewarding and exhilarating. And wonderful to be able to give back to those in need. It makes me truly appreciate what a privileged life I have here. 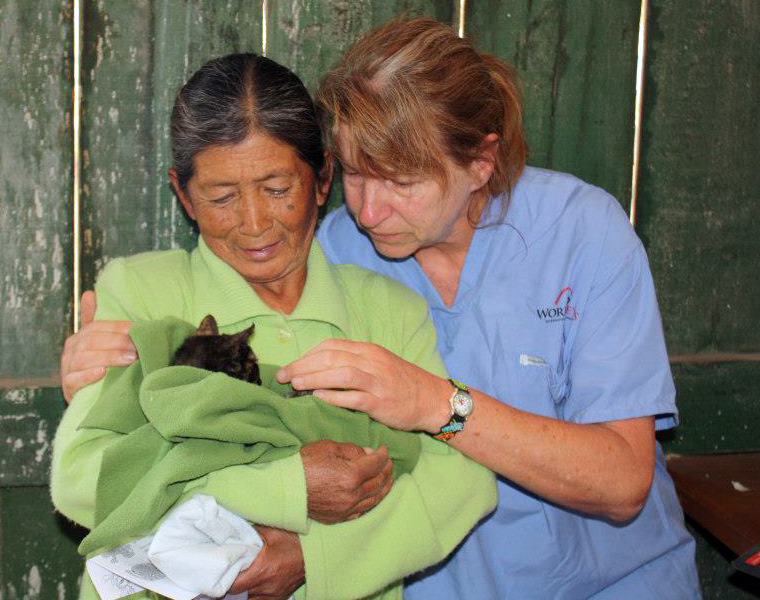 This entry was posted in World Vets and tagged adoption, animal aid, bothell, cat, dog, ecuador, Proteccion Animal Ecuador, rescue, spay neuter, sterilization, veterinarian, veterinary, volunteer, world vets. Bookmark the permalink. Would be interested in volunteering for one of these trip. How do we contact you? I am a RN and love critters.